Januvia is an anti-diabetic medication used to treat diabetes by controlling blood sugar by adjusting the levels of insulin in a patient. It only used to treat those who suffer from type 2 diabetes. Januvia has been found to be not only ineffective but defective and extremely dangerous to users. There are only a few side effects on the Januvia website that claim to be manageable and somewhat innocuous, such as Pancreatitis, shortness of breath and weight gain. These side effects are inadequate do not accurately state the deadly effects one would be subjected to if using this drug. Similar drugs as Januvia are manufactured to decelerate the metabolism of incretin hormones, which is important for diabetics because they are unable to create a sufficient amount, independently. However, Januvia increases this hormone which in turn, can generate cancer. Studies have found a link between Januvia and the development of pancreatic cancer. Pancreatic cancer is known to be one of the most aggressive and untreatable forms of malignant cancers. 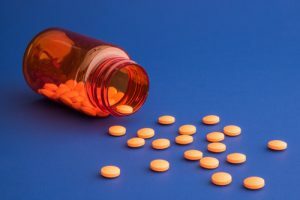 Lawsuits are being filed against the manufacturers of Januvia and pharmaceutical companies, alleging that the company knew that their product is defective and could cause pancreatic cancer, but chose to hide this information from the public. Because of their negligence, doctors were not informed, therefore could not monitor patients during their treatment. Mandatory safety tests were not performed before releasing the drug for sale either. In 2013 the FDA released a statement that it would conduct new research involving cases of pre-cancerous cells and pancreatitis in Type 2 diabetics who are currently receiving treatment from Januvia. If you or someone dear to you has taken the drug Januvia and been diagnosed with Pancreatic cancer, you may be entitled for compensation. Please contact the defective drug attorneys at Alonso Krangle LLP 800-403-6191 or through our website at https://www.FightForVictims.com, to further discuss your legal options.